A major collection of over 80 Sherlock Holmes pastiche and parodies assembled by famed publisher and Otto Penzler. 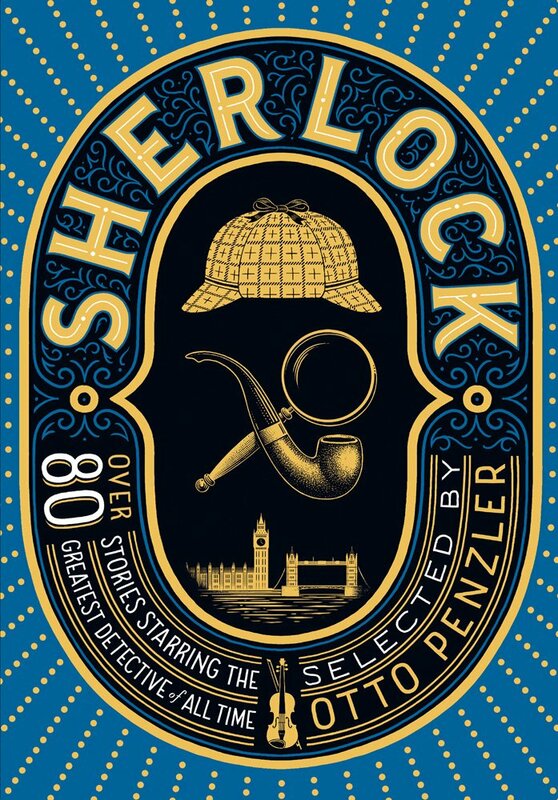 Released in the U.S. as The Big Book of Sherlock Holmes Stories, this is the UK edition from Head of Zeus. You can read a review of the book at Baker Street Babes. In 1887, Arthur Conan Doyle put pen to paper and created a legend: Sherlock Holmes. The greatest detective of all time. His tall, slender, hawk-nosed figure with his deerstalker hat is instantly recognizable in every corner of the world. Alongside Doyle's original stories, Sherlock has spawned a literature of his own in parodies and homages. More than 25,000 books, stories and articles have been written by authors, amateurs and scholars. In this stupendous anthology, the best and most brilliant are collected together for the first time. CONTRIBUTORS INCLUDE: Arthur Conan Doyle, James M. Barrie, O. Henry, Stephen King, Kingsley Amis, A.A. Milne, P.G. Wodehouse, Neil Gaiman, Anthony Burgess, Colin Dexter and Anne Perry.